Today’s blog focuses on Stamp Duty relating to investment properties. It may be one of things we don’t want to think about, but depending on the property, or asset, you could be looking at tens of thousands of dollars in stamp duty to pay in quite a small time frame. Knowing how much you can afford comes down to you doing your research. To put it simply, stamp duty is a tax that you’ll sometimes be required to pay on legal documents. You’ll find stamp duty applied to a number of acquisitions including real estate, cars, shares and business assets or on contracted services such as loans, gifts and some insurance policies. Unfortunately, it’s unavoidable so make sure you consider these charges when you’re calculating the affordability of a purchase. Depending on the transaction at hand, it may be the purchaser or the buyer who is required to pay the tax. In the case of property purchase, it is the buyer who is obligated to pay stamp duty. 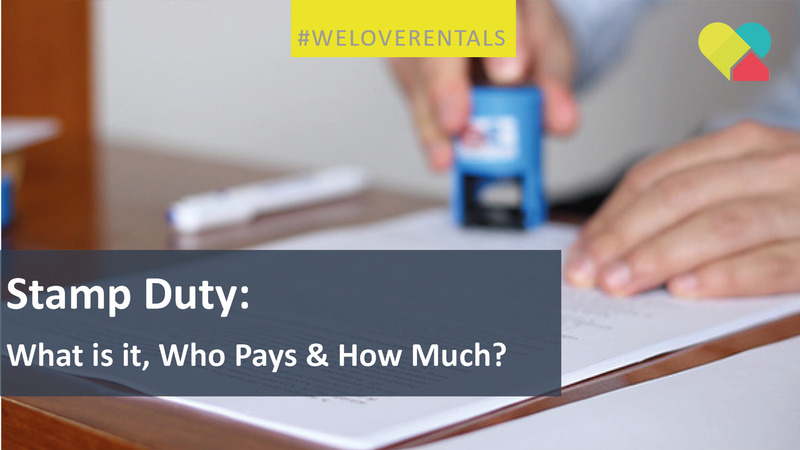 It is also important to remember that the stamp duty on Investment property must be paid within 30 days of the settlement or else you may incur a penalty tax or interest. If you’re working with a solicitor or conveyancer, they will pay the stamp duty on your behalf but be sure to confirm this payment and ask for a duty statement for your own reference and peace of mind. Depending on your lender and loan type, stamp duty may be included in the amount that you borrow. Regardless of whether or not you pay the money upfront or borrow it, you’ll need to lodge relevant statutory forms with original documents, supporting information and of course payment. What you need to lodge in order to comply with stamp duty obligations is very much dependent on the relevant jurisdiction. Do your own research and talk to an industry professional to ensure you aren’t leaving anything out. How much am I up for? How much you pay really depends on where you live and what your circumstances are. Generally, stamp duty will be calculated from the cost of the Investment property. The more you pay for the property or the more it’s worth, whichever is higher, the more the stamp duty. Much like your taxable income, stamp duty is often determined on a sliding scale. Whichever threshold your property value falls under is the percentage you’ll pay in tax. There are also a number of concessions that you may be eligible for depending on your circumstances. The chart below details the rates of duty for Western Australia. To find out how much stamp duty you may be up for, check out this handy Stamp Duty Calculator. Once you have purchased your investment property, we sure to contact us to for your free of charge rental property appraisal.